Seven New Worlds confirmed, orbiting around TRAPPIST-1, 3 planets in the Goldilocks Zone. The Tau Zero Foundation congratulates NASA on today’s announcement of the discovery of four additional exoplanets orbiting the star TRAPPIST-1, with three of these worlds in the so-called “Goldilocks Zone.” This unprecedented discovery brings the total number of planets spotted in the system to seven. While discovering new exoplanets is always noteworthy, finding three of them in the habitable zone around a dwarf star of this type means that further observation may reveal what kind of atmospheres, if any, these potentially Earth-like bodies possess. “There is simply no greater drive than human curiosity, and no greater question than: what is the nature of life in the universe? 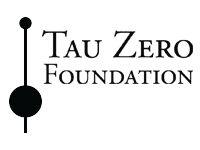 We cannot begin to answer this question without the means to get there,” Chief Strategist of Tau Zero Foundation, Dr. Andy Aldrin, said in a statement today. This exciting discovery adds to the already strong evidence of the existence of Earth-like planets in other star systems. Further investigation by the next generation of space telescopes will underscore the need for future mission planning such as that being conducted by NASA and organizations such as Tau Zero. With increasing evidence of Earth-like planets outside the Solar system, Tau Zero supports ongoing research, and is working on the fundamental technologies to send robotic probes, and one day humans, to these new worlds. Tau Zero invites you to share in this journey by joining us, along with our partners, in Huntsville, Alabama this October 4-6 for our joint symposium on interstellar travel, The Tennessee Valley Interstellar Workshop.